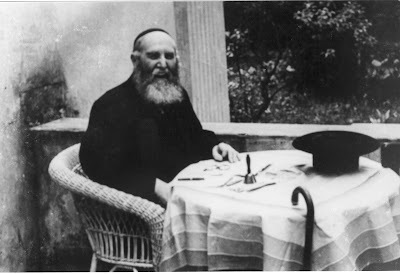 1) The Heroic Struggle - the Rebbe's autobiographical account of his arrest and imprisonment by the Soviet authorities, and his eventual liberation on the 12th of Shvat 5687 (1927). 2) Branches of the Chassidic Menorah - a compilation of various talks and writings, mainly describing episodes and personalities associated with the Alter Rebbe, plus an exchange of letters between the Friedike Rebbe and his son-in-law (and successor) the Ramash. 3) Links in the Chassidic Legacy - a compilation of biographical materiel, describing such great Chassidic personalities as the Vilenker brothers, Reb Avrohom Abba Person, Rashbatz and Reb Chanoch Hendel. 4) Likkutei Dibburim Vol. 4. 5) Likkutei Dibburim Vol. 5. I will also place links to these volumes in the "links" sidebar, for future reference. Several more, available as PDF (read page by page), or to download - if you scroll down on the link below. (I didn't describe them, and also brought adaptations as well as his original writings). * Lubavitcher Rabbi's Memoirs (vols. 1 + 2). *Branches in the Chassidic Menorah ( vols. 1 + 2. There may be a 3rd volume as well, if I racall correctly). *Some Aspects of Chabad Chassidism. *Sefer HaToldos Admur Maharash (English, with recently-discovered manuscript of Rayatz about Rebbetzin Rivka, his grandmother). *Chassidic Discourses (vols. 1 + 2).